Gilbert Olmos should be excited that he's wrapping up his freshman year at South Mountain Community College and getting one step closer to his dream of becoming a registered nurse. But instead he's terrified his college education -- and his dream -- will come to an abrupt end. Earlier this month, Arizona's Supreme Court ruled that students who have gained legal status under the Deferred Action for Childhood Arrivals program can no longer receive breaks on tuition from the state's colleges and universities. This means costs could almost triple for thousands of DACA status students in Arizona. 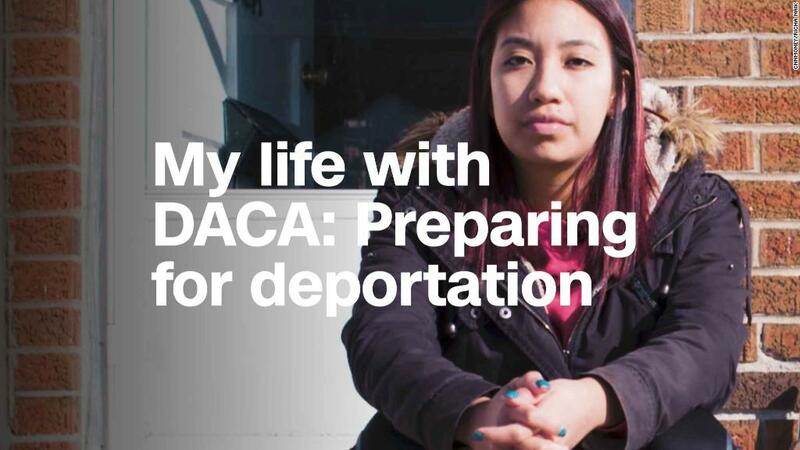 DACA has enabled nearly 689,000 young immigrants who were brought into the country as children to come out from the shadows and openly attend school and obtain work permits and driver's licenses without the fear of being deported. With his DACA status, Olmos qualified for in-state tuition. But just days after the ruling, he received an email from his school saying his tuition rate might change. In-state tuition is $86 per credit hour at Maricopa Community Colleges. Out-of-state it's $327 per credit hour. For Olmos, this means his cost per semester will jump from a little more than $1,000 a semester to the out-of-state rate of more than $5,000. 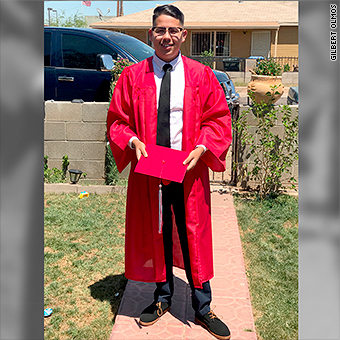 "I fell apart as soon as I heard it," said Olmos, 19, who is pursing an associate's degree in applied science at South Mountain in Phoenix. He was planning to get his associate's degree, then transfer to University of Arizona for his bachelor's before heading to nursing school. "I'm a hard working student. I've been working retail jobs to pay my tuition myself," said Olmos, whose parents brought him to the United States from Mexico when he was a year-and-a-half old. "Realistically, with the new rates I might not be able to afford college." Gilbert Olmos said he won't be able to afford college because of the hike in tuition rates for DACA status college students in Arizona. If he does have to drop out, Olmos has a temporary backup plan. He's a certified phlebotomist, trained at drawing blood from patients. Olmos took the six-month course after graduating from high school. "I would probably have to do this full-time until I figure things out with my education," he said. There are currently 2,000 DACA status students enrolled in the Maricopa Community Colleges network, which includes 10 colleges in the Phoenix area. "Right now we are telling them their tuition might be impacted, but we're not sure yet when it will go into effect," said Matthew Hasson, a spokesman for Maricopa Community Colleges. He acknowledged the higher tuition rates could force students to drop out completely. "These are wonderful people and some of our best and most hard working students," said Hasson. "We are working tirelessly to find some way to help them because we don't want them to leave. At the same time, we know we have to comply with the court ruling." Dreamers don't have permanent legal status, or a path to citizenship, so they aren't eligible for federal student aid either. Therefore, they must pay for college either on their own, through private donors or rely on scholarships. Ana Ascencio is worried about losing her full scholarship from TheDream.US because of the Arizona Supreme Court ruling. That's how Ana Ascencio, 18, paid for her freshman year at Maricopa's GateWay Community College, where she's a political science major. 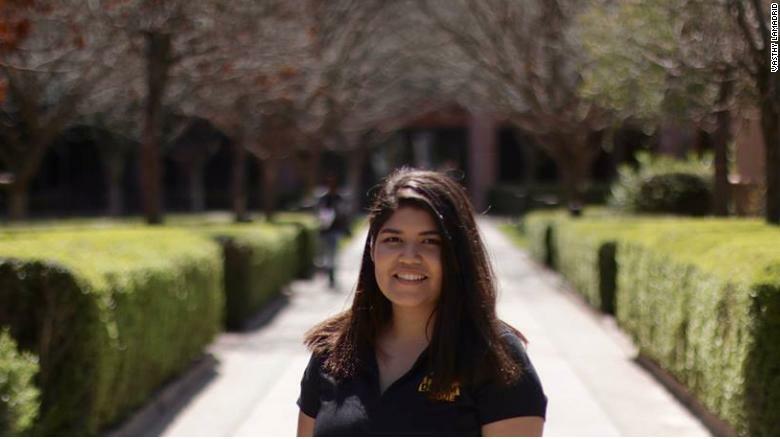 She received a full scholarship from TheDream.US, a nationwide scholarship fund that helps DACA status immigrants attend one of 75 colleges in 15 states. But now even her scholarship is in jeopardy. One stipulation of TheDream.US's scholarships is that the student be eligible for in-state tuition rates at one of its partner schools. 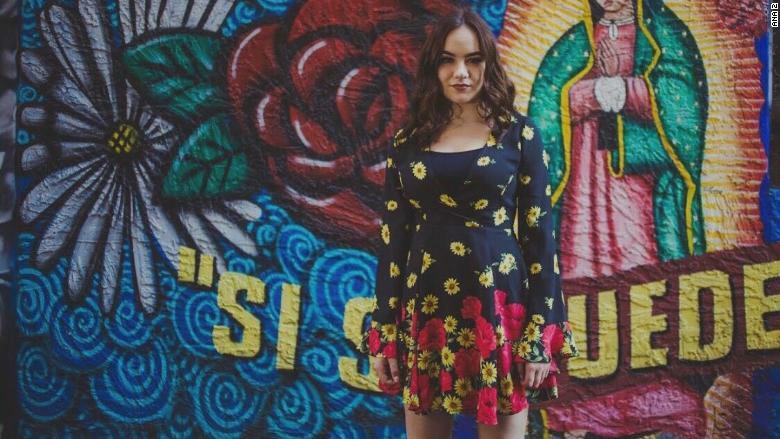 Ascencio, who came to the US when she was four from Mexico and grew up in Arizona, was eligible for in-state tuition and the scholarship last year. But now she -- like the 150 other TheDream.US scholarship recipients in Arizona -- doesn't know if she'll be eligible for either. "We are currently working with Maricopa County Community Colleges and Arizona State University to find an affordable path forward for our Arizona scholars to support them in completing [their] college degrees," said Candy Marshall, president of TheDream.US. Ascencio wants to go to law school and become an immigration attorney, but everything seems uncertain. "This court ruling is so surreal. My heart sank and I cried so much when I heard the news," she said. "My whole college education dream has been jerked out of my hands." Vasthy Lamadrid feels the same way. She is a senior at Arizona State University and is majoring in political science and pursuing a teaching certificate. She has lined up a job that begins in the fall that counts toward her certification. "I'm scared," she said. "If my tuition rates jumps and I can't pay the out-of-state rate, I can't continue with my teaching certification program in the fall." Vasthy Lamadrid, a DACA-status student at Arizona State is pursuing her teaching certification. Currently, the in-state tuition rate for undergraduates at the school is $10,792. Out-of-state students pay more than double that at $27,372. Lamadrid said school administrators have said they want to help DACA students but she's aware that the school also has to comply with the ruling. She attended a meeting late Thursday with students and faculty where DACA students were told they should expect the new tuition rates to begin this summer. Arizona State University did not respond to multiple requests for comment. Lamadrid said she knows many other DACA students at Arizona State who have plans for postgraduate and other advanced degrees. "This ruling will put a halt to these goals," she said. "Some have already been accepted into those programs. Now they don't know what to do."